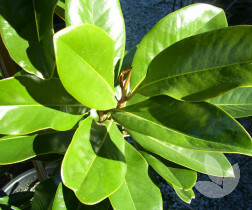 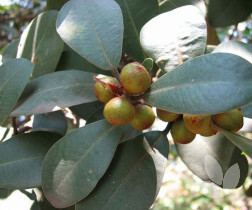 This tree has glossy green thin leaves that are crimped at the edges. 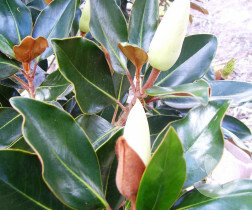 It has flowers in Spring which are dark red. 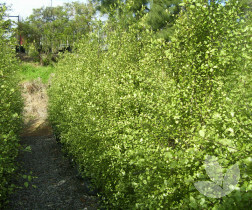 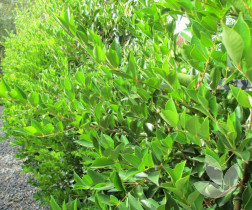 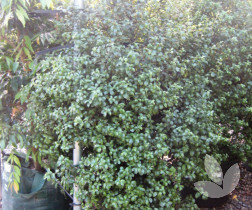 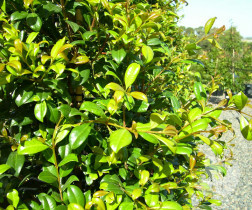 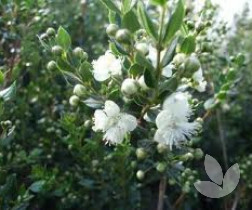  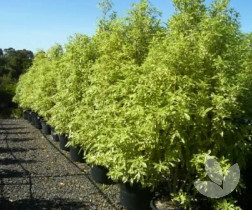 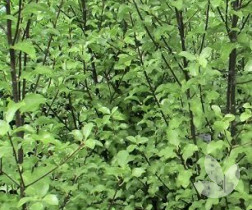 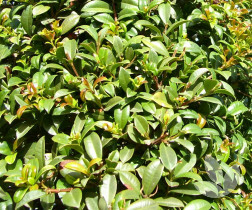 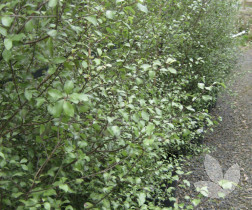 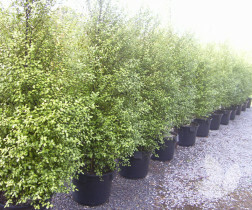 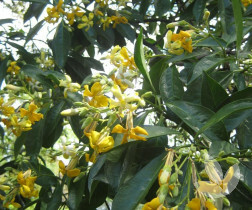 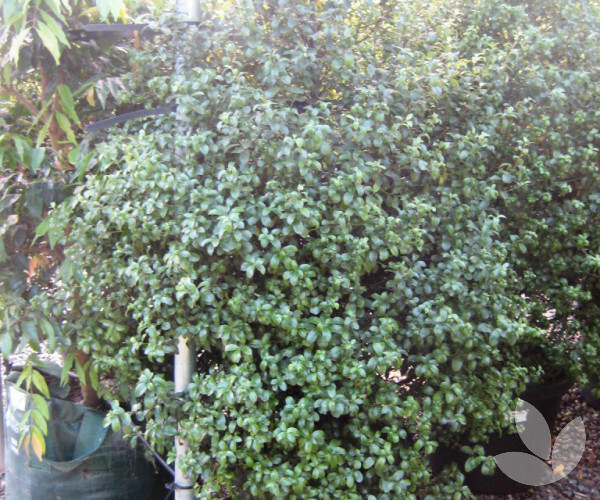 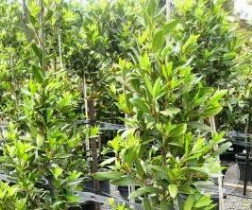 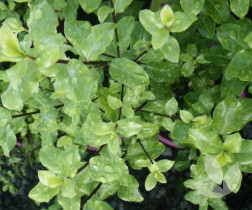 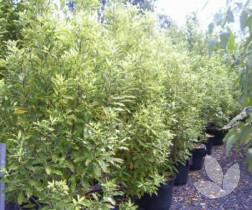 It has a dense growth habit great for hedges.